A majority of the occupations we humans carry out are human-centric… and almost everything designers do revolves around human interaction and emotion; and while most products we design today have evolved from physical to digital, there’s always one key binding factor. The user… and the user hasn’t physically changed much (or even at all) in the past century, and probably won’t for the foreseeable future. Because design as a practice inhibits human evolution i.e., it changes circumstances so that we, without changing the way we are, can achieve the great feats. 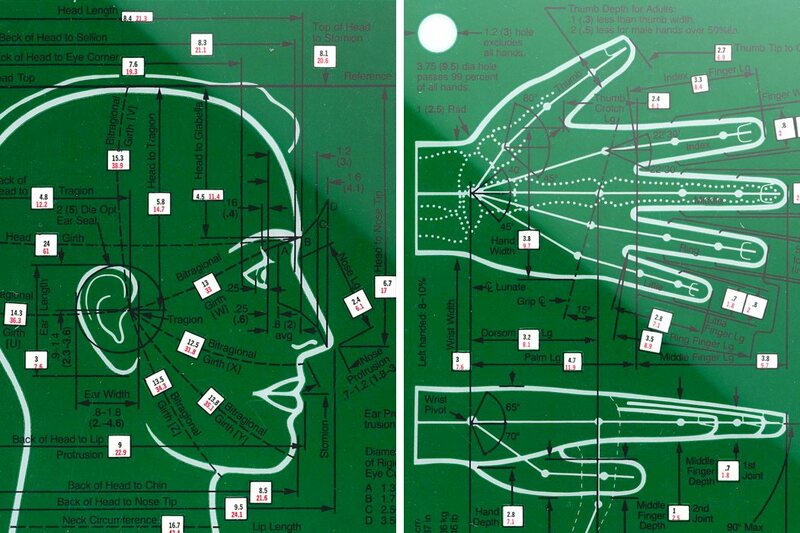 Back in the 70s, Henry Dreyfuss (the designer of the iconic circular Honeywell thermostat that inspired the Nest) realized the importance of human ergonomic data in designing for humans. He then embarked on a mission to capture human proportions at a scale never done before. The result? A definitive guide to human anthropometry, for both men and women of all ages, sizes, and walks of life. 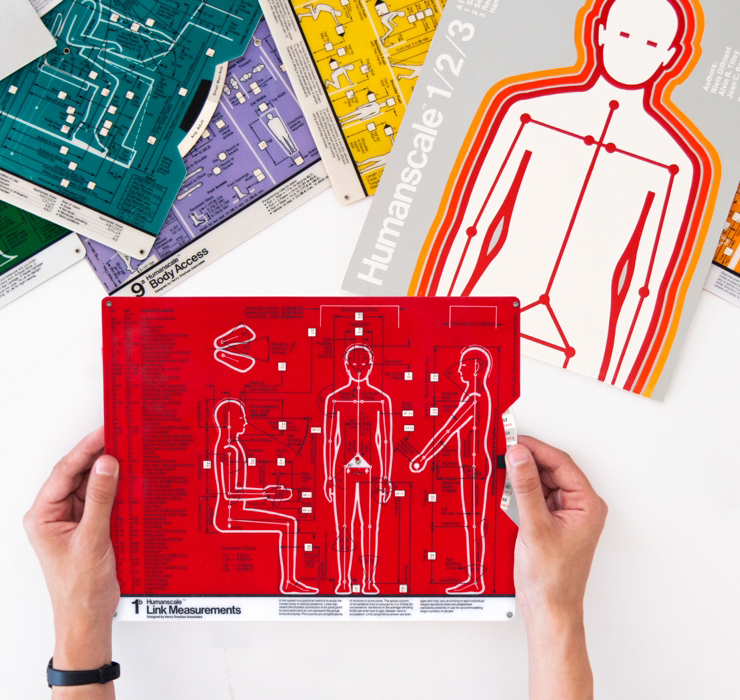 This data (more than 60,000 pieces of information) found its way into the original Humanscale book, printed from the 70s to the 80s. They changed the face of Industrial Design, ushering in the age of human-centric design (probably the only way to design good products). However, the MIT Press stopped printing these guides in the 80s, and they became collectibles and antiques, rather than becoming a staple in every designer’s collection. We clearly see the lack of incorporating human factors into designs today, with the most talked-about example being the smartphone, that chose to grow bigger, while human hands remained the same size. There’s a reason people still strongly feel the iPhone 5 was the best smartphone to use and handle. The reprints will be exact copies of the original featuring the same data (which hasn’t changed since). Bundled into 3 books and 9 beautiful selector charts that lay out data with the simple rotation of a wheel (in a way these books and charts were designed keeping in mind the very factors they contain), these reprints will be available at a mere fraction of the cost of the originals (which you can find for roughly $2,000 on Ebay). 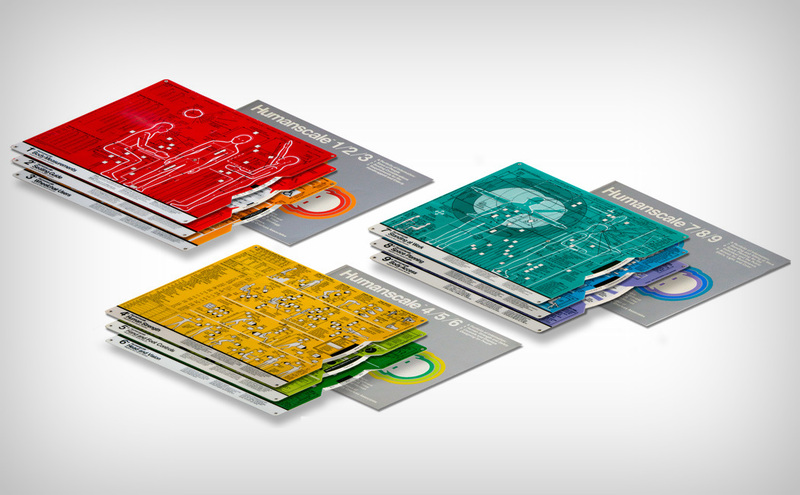 The series of books and charts can be bought independently for $79 or in a complete collection for just $199. 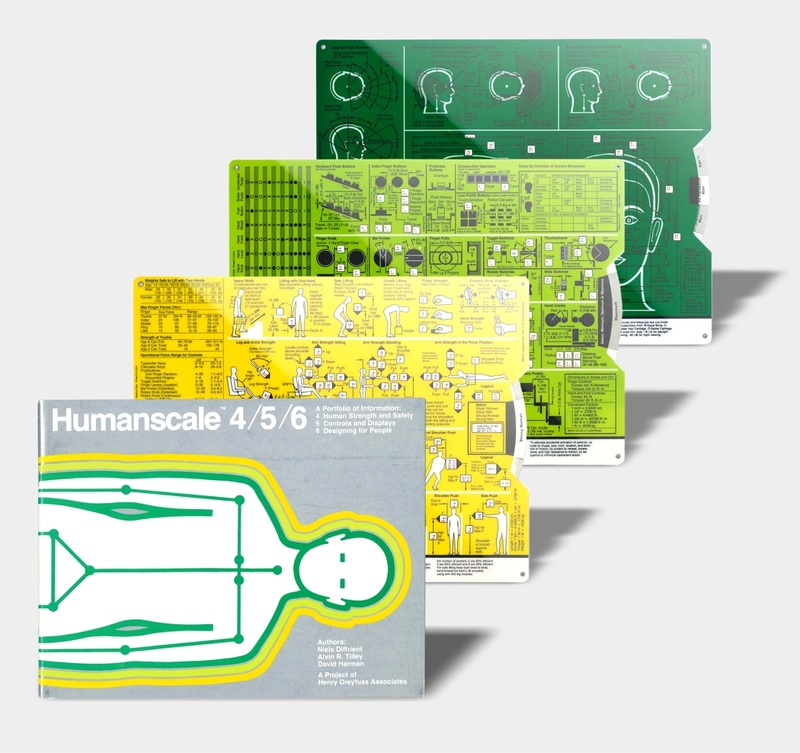 The reprints of the Humanscale base themselves completely on the original, using the same printing material and quality, and retaining more than 60,000 pieces of data measured out in the 70s. 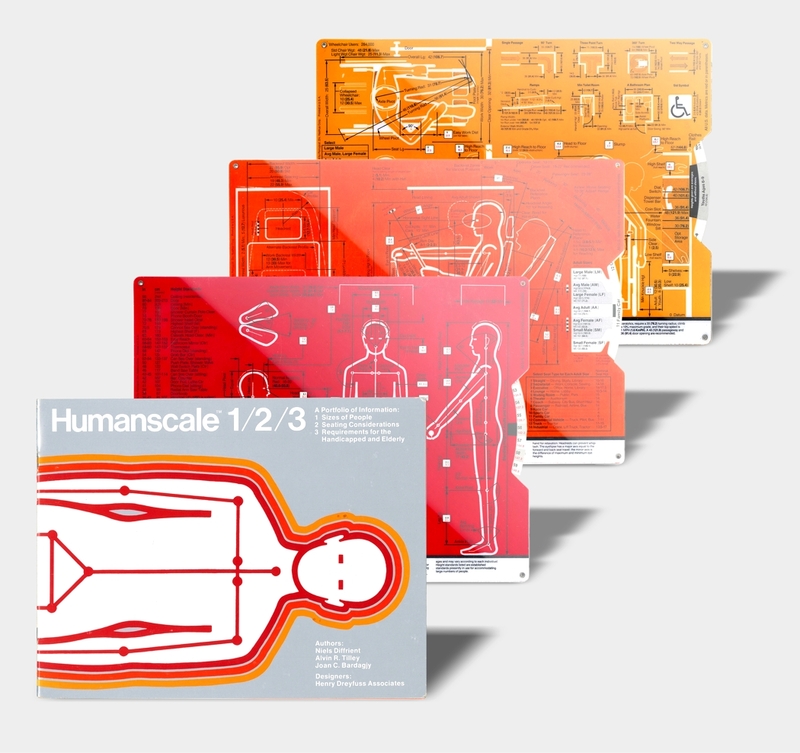 Perfect for industrial design, interior design, transportation, and almost any design field that bases itself on human proportions (yes, app design too), the Humanscale is a must-have in every designer’s collection of books, not to mention design studios and schools. IA Collaborative aims to digitize the data too in a way that’s just as easy and accessible as opening a book or rotating a selector chart wheel. Their aim is to make the information accessible to designer practitioners, learners, and educators world-wide… because the best designs consider the people who are using them.